There are a variety of special interest clubs in Sea Pines. These clubs are run by independent organizations, not directly by Sea Pines CSA. Feel free to explore the clubs and organizations related to Sea Pines by selecting the tabs below. The Women’s Club of Sea Pines (WCSP) was founded in 1998 by Sea Pines Plantation residents Jacque Carbiener and Joanne Santos. The Club was established with the mission of providing a venue where women can share friendship, common interests and activities. Currently, we have a variety of special interest groups such as biking, book clubs, bridge, day trips, gardening, golf, line dancing, mah jongg, and mixers. Membership in the Women’s Club of Sea Pines is open to women who are property owners in Sea Pines. WCSP currently has more than 500 members. The Club meets three times a year at the Spring and Fall Luncheons and at the Holiday party. Interest Groups meet separately throughout the year. WCSP maintains a small library within the Sea Pines Community Center. For more details on contact information, officers, interest groups and more, scroll down to choose the Women’s Club of Sea Pines tab. To join the WCSP, click here to download the membership form. Membership in the Sea Pines Men’s Club is open to any men who are property owners in Sea Pines Plantation. The Club’s purpose is simply to provide opportunities for friendship and fellowship among neighbors. See below for more details on contact information, officers, interest groups and more. A fishing group has been formed in Sea Pines. Open to Sea Pines property owners, their family members, this group will keep up on the fishing conditions in Sea Pines, work closely with the Forest Preserve Committee to assist with projects designed to enhance and improve the fish habitat in the Forest Preserve, and create a great opportunity to tell their “fish stories.” If you are interested in joining, please contact George Barry at ghbarry21@aol.com. The Sea Pines Country Club represents as much a way of life as it does a private place to enjoy golf and tennis, good friends and family. Whether you are a long-time Island resident or a new arrival making your first entry into the community, you will find a spirit of welcome and warm hospitality that brings a well-rounded fulfillment to your life on Hilton Head Island. Membership has its privileges. At Sea Pines Country Club, you will find them to be abundant and unparalleled. Planned for the entire family, our Club enjoys a reputation as Hilton Head Island’s best full service private club. The Heritage Farm Association (HFA) is a community garden comprised of about 100 Sea Pines residents who share a love of gardening and maintain the Farm. 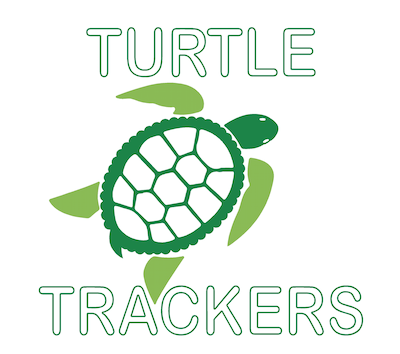 The mission of the Turtle Trackers is to promote Sea Turtle Awareness on Hilton Head. For more information on these clubs, click the appropriate tab below. Scheduled activities – cards, walking, biking, kayaking, books and Friday breakfast get-togethers. Planned events, which consist of spring and fall luncheons, day trips, Christmas party, Super Bowl party, Valentine’s Day celebration, St. Patrick’s Day soiree, dinners and picnics to name just some. Our by-laws are simple, dues more than reasonable. Demands on one’s time depend on the member’s level of interest. We average between 140 to 150 members, with lively participation in activities and events. Below you find information on joining, participation, officers and chairs, activities and events. Look over our programs and give us a call if you’re interested. That’s it! You will be added to our e-mail list, begin receiving regular communications, and can begin participating in any way you see fit. A Men’s Club name tag will be prepared for you and you will be included in the next publication of the directory. – And most important, ENJOY THE FELLOWSHIP! In the fall of 1999 Paul Grier and John Fraser, A past President of Community Services Associates (CSA), met to discuss how to utilize the new Sea Pines Community Center. The Sea Pines Women’s Club had been organized and was off and running so it was felt that the men should also have a club. Grier had been an officer in a Men’s Club in Wyckoff, New Jersey and suggested we adopt a similar format for Sea Pines. He contacted Joanne Santos and Jacqueline Carbiener who had organized the Women’s group to get details on the club had been set up. On March 8, 2000, the first planning and organization meeting was held with Tom Hall, Dan Olenchuck, Russ Lamperman, Joe Eagers, and Paul Grier. On March 21st a kick off for membership was held, and in the following weeks 40 new members signed up. The first social was a wine tasting at the Community Center arranged by Frank Cascio. After six months of working with CSA and the cable company, service for the Big Screen TV was available at the Community Center and a Super Bowl Party was held in January 2001. Men’s Club members have a variety of interests and have organized themselves appropriately to take advantage of neighborhood opportunities. Activities occur all during the year, but please note that a number of these gatherings take a summer “vacation” from Memorial Day to Labor Day. Call or e-mail the contact person(s) listed below to get up-to-date information on scheduling, locations, etc. Kenny B’s Restaurant in Circle Center on Pope Ave. The Heritage Farm Association (HFA) is a community garden comprised of about 100 Sea Pines residents who share a love of gardening and maintain the Farm. As well as helping with maintenance, for an annual fee one can rent various size plots (approximately 15’ x 15’ for a quarter plot) to grow your own fresh veggies and flowers. There are twelve different work crews involved with the Farm which provide members various opportunities to assist or pay a fee to opt out. What can you grow at Heritage Farm? Perhaps you have noticed the variety of vegetables from tomatoes to zucchini or lovely roses and colorful zinnias. The Farm orientation program will provide you with a comprehensive list of vegetable growing seasons for our Coastal Plain region. Farmers who specialize in growing flowers are always willing to provide helpful tips. This is one of the wonderful benefits of being a community of gardeners. The Heritage Farm also has four plots dedicated to charity. These sections are worked by association members for local food banks such as Deep Well and Second Helpings. The work begins with starter plant donations from The Greenery. In the past Hilton Head Prep students have volunteered to harvest sweet potatoes as part of their community service. The Hilton Head Herb Society often makes a generous dollar grant to help with Farm needs. As you can see it is a multi-faceted effort to provide fresh veggies to struggling families during difficult financial times. Gardening at Heritage Farm is always popular and at present there are only a few plots available. Typically new farmers do not start during the heat of August, but wait until the fall. The HFA fiscal year runs September through August 31st so more plots become available in mid-September if some current gardeners opt not to renew. Please contact Katherine Perry after September 15 regarding information on becoming a gardener and perhaps schedule an orientation to review guidelines and review available plots. Her phone number is (843) 715-2120.